I've had the hardest time coming up with outfits to go with this green shirt. On it's own, it's fine. It's a pretty blouse and a pretty color. However, I definitely learned that I don't have much use for this blouse in my wardrobe after spending 24 days with a limited closet. Even with a limited closet I still didn't reach for this blouse as often as all my others. Despite me not reaching for this blouse, I do like the end result of this particular outfit. 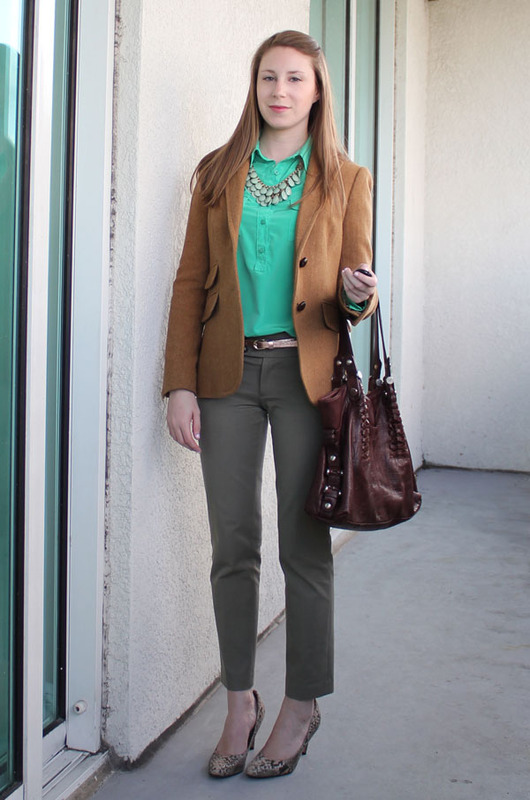 The greens and browns compliment each other, and I like the textures my necklace and blazer adds to the outfit. Also linking up with Transatlantic Blonde! Great use of the colors. Found you via Pleated Poppy! 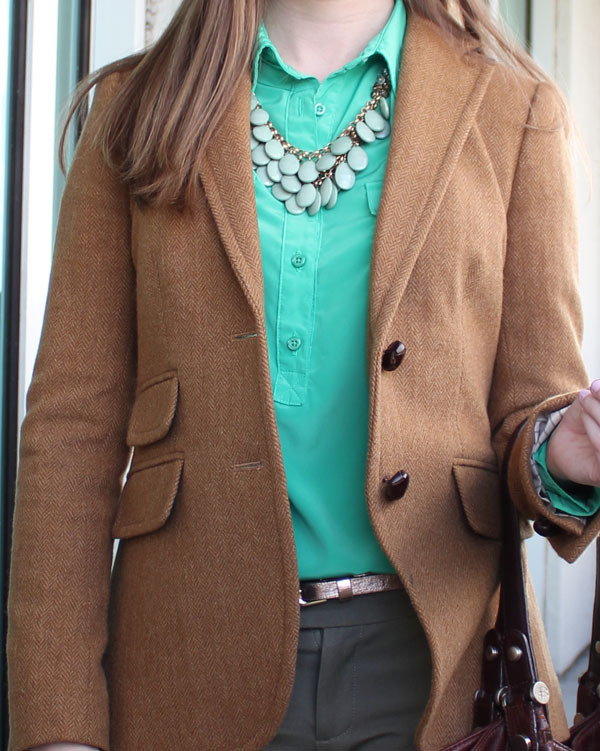 Looooove the colors in this outfit! You definitely have an understand of color. I love that green top! Love the outfit, It looks great!! Have you tried it with navy? Thanks for stopping by my blog!! Love this outfit, you look great!! Have you tried it with navy? Thanks for stopping by my blog! Thanks to how many awesome ways you've styled these pants, I've had them sitting in my shopping cart for like a week or two. You're making it really difficult to maintain self control. Love the necklace! I think the blouse is really cute but I can understand that it might be hard to match with other items.